What is a Subacromial Decompression? Subacromial decompression is a specific type of shoulder arthroscopy. 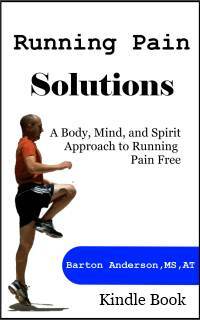 It is used to treat sports injuries like impingement syndrome after conservative treatment has failed. This procedure is considered a "minor" shoulder surgery, however no surgery is minor when it is your shoulder under the knife. Subacromial decompression is used to increase the subacromial space, the area between the humerus and the acromion, and can relieve impingement syndrome symptoms of pain, popping, and numbness and tingling. This surgery is the last resort for impingement syndrome and is usually only performed after several weeks or months of conservative rehabilitation. 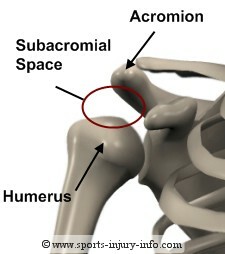 The subacromial space is the area between the top of the humerus and the acromion. 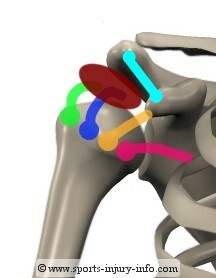 This area is also the home of the rotator cuff tendons, the subacromial bursa, and the shoulder capsule. With impingement syndrome, these soft tissues become inflammed and can cause pain and shoulder problems. This is extremely common with overhead athletes. Your subacromial space can become cramped for many different reasons. You may have a "hooked" acromion, where your bone extends down into the space, impingeing on the soft tissues. You may also have inflammation in the area, causing the bursa and soft tissue to form scar tissue and fibrosis, again reducing this free space. Subacromial decompression is performed as an arthroscopic procedure. This means that you will have two or three small incisions on the front, back, and side of your shoulder. Your surgeon will use a small camera and small tools to decompress the subacromial space. They will also be able to look inside of your shoulder to make sure that there is nothing else wrong. Once your surgeon determines the nature of your shoulder injury, they will remove the subacromial bursa. This fluid filled sac is often inflammed and irritated. If you have had shoulder pain for a long time it may have accumulated scar tissue or be stiff and fibrotic. Once the bursa is removed, they will shave down the underside of the acromion so that it is flat. If you have a hooked acromion, this will help to increase the space for the rotator cuff tendons. The next step is to remove part of the coracoacromial ligament. This ligament is also an area of inflammation with impingement syndrome and may have scar tissue or fibrosis. Your surgeon will also evaluate your rotator cuff tendons to make sure there are no tears. You may have some fraying of these tendons or areas of wear that can be cleaned up. After the decompression is complete, they will close your incisions with sutures or staples and you will be sent to recovery. After surgery you will need some shoulder rehabilitation to regain your range of motion and strength. You may be given a sling to wear for comfort, or you may just be instructed to rest your shoulder. Pendulum exercises and shoulder rolls are common exercises that you may be told to do at home. As with any surgery, make sure you follow your surgeons instructions for your rehabilitation. Recovering your range of motion and strength are the number one goals after this sugery. A full recovery usually takes 4-6 weeks, but varies for everyone. Sports activities like throwing may take 2-3 months to get back to normal. Subacromial decompression can be an effective treatment for impingement syndrome if conservative treatment has failed. By removing the subacromial bursa and flattening the acromion, this procedure can increase the space between the humerus and the acromion, reducing impingement of the rotator cuff tendons. A full recovery after surgery usually takes 4-6 weeks, with a return to sports in 2-3 months. Rehabilitation after surgery to regain strength and range of motion is important for a full recovery.